I’ve spent some time putting together this codeplug that I would like to share with everyone. Follow the instructions below to use it. The plug will get updated periodically, so check back often for new repeaters and info to be added. I datestamp all of my plugs with the date on the very back, so if you get one today (the date this article is being written) it should show “20160414” on the end of the name. This means that the last update to that plug was 04/14/2016. I find this format easier to sort chronologically in a windows environment. I’ve also added ALL Regional, Statewide and Brandmeister Area talkgroups to this codeplug so that expansion later will be easier. Follow the instructions below to use this plug. The current version contains ALL repeaters in Texas, Oklahoma and Nebraska. Updates will be made as more repeaters are added, and I plan to add more States also. Next on the list is Arkansas, then perhaps Kansas, and so on. I also have the repeaters for the Dayton Hamvention of 2016 loaded into this plug; plus some random repeaters in Albuquerque, California and Seattle. Feel free to make any changes you’d like to this codeplug for your own use. My basic concept in writing this codeplug was to put everything in alphabetical order. I’ve named the Zones for their State, then city, and arranged them in the correct order. Example: “TX.Dallas” “TX.Southlake” “OK.Tulsa1” and so on. Since each zone is limited to 16 channels, I generally separate each zone by repeater. My basic reason for this doing is because this codeplug is for an HT, and usually an HT won’t reach out to multiple repeaters, due to distance. I also add all 4 accepted Simplex frequencies to each Zone, when space is available. For a listing of those Simplex frequency settings, follow this link. ***NOTE: If you have a new radio, proceed to the instructions below. If you have a current codeplug in your radio, I highly suggest READING your current codeplug into your computer and saving that codeplug before making any changes. That way, if you load this new plug and you don’t like it, or it doesn’t work for whatever reason – you can reload your original codeplug and not lose anything. After the software is installed, open the codeplug and click on the “General Setting” option from the left-hand menu. In this menu, enter your Radio Name and Radio ID. Your Radio ID was supplied by DMR-MARC and is 7-digits long. If you don’t have a Radio ID yet, follow this link. For Radio Name, I usually enter my callsign, but you can call it whatever you’d like. Save the codeplug somewhere on your computer where you can find it later. I suggest changing the name to something new. Open the N0GSG Contact Manager software that you downloaded earlier. Once opened, click on File->Open Codeplug and go find the new codeplug that you just saved and named. Once the codeplug is open inside of the N0GSG Contact Manager, you should see only Group Contacts inside of the Contacts tab at the bottom. These will be your talkgroups and are already set to each channel in the radio. This is the step that will differ for each person. Click on the “Import Contacts from the DMR-MARC Database” button on the right side. Once the new window opens, search the database by your State name. Highlight all contacts from the search results and click the “Add Selected Records” button. All other fields should remain at their default setting. Repeater this step for other States you might want to add, but be aware that this radio will only hold 1000 contacts. Click “Done Searching” when you are finished adding all the contacts you’d like. Click File->Save As from the top menu and save the codeplug. I will usually save it under another name, to just be safe. But you can choose to save it as whatever you’d like. Connect your radio to the USB cable and write the new codeplug into your radio. After the radio reboots, you should have everything that this codeplug has to offer. Jason, thanks for championing DMR in the area. I also think i found a bug in Contact Manager 1.22/1.23 — if I make a bunch of zone changes I can corrupt the file and crash Contact Manager, so I save often. The file can be restored by opening it in the Tytera software and making a substantial change (add a channel) and re-saving, then it can be re-opened in Contact Manager. Tom N0GSG has asked me if we can send a before-and-after codeplug the next time it happens so he can investigate. if you run into this issue, keep this in mind. Tom is a good guy, easy to work with and responsive. Hopefully he can take care of that for you. Not having any sucess downloading the code plug, i am going to Dayton next week (from uk) looking for code plug to use the 380 at Dayton. Not sure why you can’t download it, I know several dozen people who have got it without issue. But if you email me, I will reply to you and attach it to the email. I can’t download it either – what I get is the database contents trying to be an html display on my screen. I’m on the learning curve for the MD-380 and would like to look at how your codeplug is organised so I can write my own for VK repeaters and contacts. I’d be grateful if you’d email me and attach the codeplug. Thanks for the clear instructions. Not sure why some people have trouble downloading it, and hundreds of others get it to work fine. I suspect it is something with your local computer setup. The codeplug is just an .RDT file and should download as a file that doesn’t associate with anything in Windows. Once downloaded, launch the TYT software, then do a File-Open and go find this file. This should open it correctly in the software. 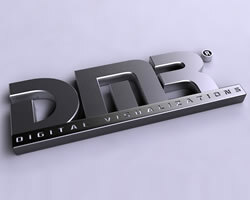 The file is associated with the TYT programming software. If you don’t have that installed, it might not open correctly. If your browser is opening it as an ASCII file, then your computer has this file extension associated with the wrong program. In short, the problem is on your computer. Jason, I found that if you right click on the Code Plug Link and save as then it downloads properly, if you just left click on the link you get the ascii garbage. I have no plans for a codeplug for that area at this time, I don’t get out there much. How many repeaters are in your area? 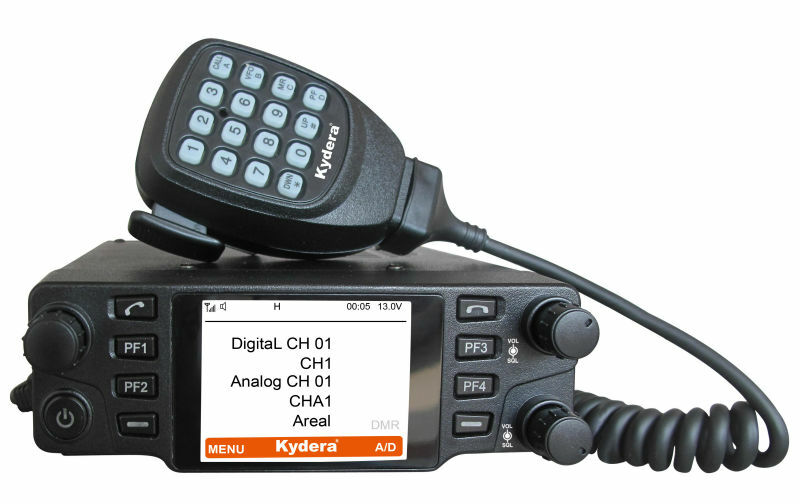 Need some help…I bought a Tytera MD-380 at HamCom. I have tried everything I can think of to get the programming software to read from or write to the radio. I am using Windows 7 and v1.30 of the programming software. I can see the radio in Device Manager under ‘Other | Digital Radio in USB mode’. When I attempt a read or write, I get ‘Please check whether the USB is occupied or not connected.’. I have tried two other PC’s with the same results. I have also tried with and without a USB hub. I even broke down and tried to read the manual. I am near my wits end. Any suggestions? Most of the time when I read this, it is due to the computer not loading the driver correctly. Even multiple computers. If you see a yellow ! in the Device Manager in Windows, then the driver isn’t installed correctly. Although seldom, sometimes it is the cable. Contact whoever you got the radio from and see if they can exchange cables for you. I had this exact same problem yesterday after buying a 380 from Jason at a hamfest. My problem *might* have been the fact that my desktop hadn’t done Windows updates since March for some reason. After a few hours and finally finishing up this morning, it downloaded the driver just fine and instead calls it “STM device in DFU mode” under the USB controllers. Make sure all your Windows updates are complete, go to that line with the yellow triangle and right click on it. Tell it to delete the driver. Turn the radio off and back on so Windows sees the cable again and let it find the driver online (hopefully). I had that same problem. I **thought** I had it plugged into the radio. When I checked, the plug wasn’t all the way in. John, pick up that MD380 and connect to the BYRG here in Kansas City, KS and give me a Call., DE Rob Underwood – K0RU aka WB8YRB from Rapids City, SD Ellsworth AFB days. 73 my friend hope to work you on DMR soon. I’ve tried everything. I cant get the MD-390 to be found. The driver sets itself up in Win10 as COM4. If I move the TYT cable to different USB, it shows up connected as COM5. Prolific dated 09/04/2015. It never sees the radio though. When I plug the 2 prong plug into radio, should something change? Your computer isn’t recognizing the driver. I’ve not been able to get it to work with Windows 10, although I haven’t tried in a while. I keep my programming laptop on Windows 7 for this reason. I installed your codeplug. I think I did everything correct. I think I just fixed it while messing with this comment! gussing you did not put anything in those but I could go to Zone for those and choose one. Love your YouTube videos and your website. Yes “Unprogrammed” means that nothing has been programmed into the channel slot for the Zone you are in. When changing Zones, always turn the channel knob back to position 1, then you can change channels from there. The Zone can hold up to 16 channels, but that doesn’t mean some Zones will only have 5-10 channels. Honestly I have not tried it. I don’t own a Mac, so I cannot test one. Go to Tytera’s website. Select the “MD-380G” button to download the software. The disc that came with my 380G did the same ‘wrong model’ thing also. The downloaded program works. I would love to have that link as well. I just bought two MD-380G radios and the software (none of the 12 included .exe applications) work with the 380G. I also went to the Tytera (TYT) website and they don’t have a ‘MD-380G’ button anymore (if they ever had one). They have all kinds of MD-380 vocoder/firmware dependent bases, and MD-390 and even the MD-380 CE (whatever that is) – but no MD-380G. They are so cool and I can’t even program these things. I’m searching for it and haven’t been able to find it. I will get TYT to send it again. Hover over the Service menu, the bottom selection is Download, click it. Both the 380g and 390 GPS are there. Direct link and file names posted below. I just purchased an MD-380. All my computers run Windows 10. Am I in trouble ? My MD-380 software works on Win10. I just got a MD-380G – the disc that comes with the radio does not work for the ‘G’ model. I’ve got it running on Win7 – we’ll see if it works on Win10 tomorrow. I have the latest CPS down loaded from TYT, down loaded from TYT round May 18 2017. It runs fine on Windows 10 with the current updates installed. Please note the Baofeng programming cable will fit in the TYT DM380 but will not work! Regardless if it is a Baofeng original cable or an aftermarket cable with a better Serial to USB chip. You need to use the TYT cable. I downloaded the codeplug attached to the link and now my radio is locked out. There is a screen asking for a password. I cannot upload or download. I think someone has hacked your site or you are tricking people. The default all 0’s and all 9’s does not work. The keypad is also locked. Thanks allot. This codeplug has been loaded into hundreds of radios which do not perform the way you are describing. Something is either defective with your radio, or the write process was interrupted while you were writing it to the radio from the computer, an action that can brick the radio. I would suggest reloading the firmware into the radio and try writing the codeplug again, perhaps another codeplug at first until you figure out the real problem. Otherwise, contact the vendor where you purchased the radio and see if they can assist. Thank you for all you are doing. I have tried to follow all your instructions. but still have yet to hear any signals on my new MD-380. I must be missing some key point in the setup routine. What talkgroup are you listening to? Pull up netwatch and see if you can hear audio from the talkgroups that Netwatch is currently showing in use. Thank you. Sorry, but I don’t know to call up netwatch. I thought I was monitoring TAC310 FW, but nil hrd there. This codeplug will not work with the “G” models of radios, as those models use different programming software, and therefore codeplugs also. Certainly appreciate the Information you have here related to the DMR MD380 Codeplug. The information certainly did make understanding the radio and setting up very easy. Thank you for your contribution. It is very appreciated. Just got my MD380G, delivered cd with sofware did not work. “Wrong model”. Solution was simple and “logical” 😉 … a software designed for MD-390G ;-). But i cannot get any GPS signal. I’ll try with some MD390g gps software but i feel like a child in a mist… i do not know where to go,what to do next. I click on the link for codeplug above and my computer opens another webpage and it is all goobly guck, am I doing something wrong to download the codeplug? Why aren’t the Carrollton and Fairview DMR repeaters in your codeplug? I’ve not added them yet. Those are newer repeaters. And Fairview is a backyard repeater, so limited coverage. Is there a Linux version of the TYT programming software? Might be able to install WINE, but prefer native prograqms. Not that I have ever seen. I know some folks that use it in WINe, or in a VirtualBox session. Check out https://github.com/travisgoodspeed/md380tools. The explanations appear below the list of files. It looks as though you would use the CPS software with Wine to build your code plug, then use md380tools to load the code plug onto your HT. But pepper the md380tools folks with questions first. Don’t take my say-so. I’m seeking answers to similar questions for my md2017. I just came onto this web site, looking through the info I see something here, I have the MD-380, I do all of my work on Linux, I was using the TYT software (howls at the moon) until a fellow on the Chirp list put me onto editcp by Dale Farnsworth, NO7K. Here is the link to the downloads. The program runs under both Linux and Windows, have not tried it under windows (try to avoid that OS) but under Linux it works great, it reads and loads the radio a lot faster and smoother, and you will discover that the TYT software lets you “leave things out”, Dale’s art will show errors, but you just look at them and then go in and correct them. Most of mine where the scan field had been left blank. So I use MD380tools to update the radio firmware and editcp to work on the code plugs then load them. Do you have a codeplug for the Motorola xpr3500? Help me find a codeplug for Northern Virginia. Does anyone on TMARC.org area know someone with one? Greetings from Diana,Texas- Do you have a code plug for the TYT MD-2017 Dual Band with GPS model? I have been able to create a codeplug using the CPS1.06 and upload/download to and from the radio but none of the CP I find can load. All of the codeplugs I find are 257kb file size where the size when I read / write to my UV 390 is 833 KB. Does anyone know how to convert a good codeplug to work in my radio.